You remember ye olde Guild of Adventurers, don’t you? In Silversword, this will be your starting point as well. 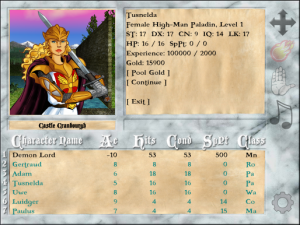 You can form your own party which can contain up to 7 members. Always have a bard at hand if the moral is low, and a magician if the combat gets tough. A rogue will surely get you around town with his streetlore. The Bard’s Tale series is the template for Silversword, and thus, you may recognize some game elements. It is not a copy however: first, I don’t want to get into copyright hassles with Interplay, and second, there is no need to fill old wine in new skins. Silversword comes with its own compelling storyline, that will be in no way behind its idols for sure. 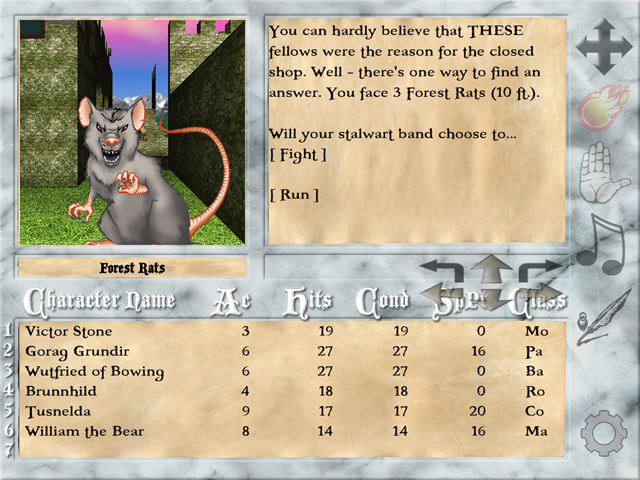 Silversword is using a d20 system similar to the old Dungeons & Dragons Pen and Paper RPG. The lower the AC (Armour Class), the better your chances of avoiding that fierce poisoned blade your enemy swings at you. The interface is adapted to the needs of a mobile user. All can be done with touches, gestures and the built-in keyboard. Let’s start a fantasy world inside your pocket! Use your skills, use your items, and use your spells to explore maps full of enemies, riddles and traps. 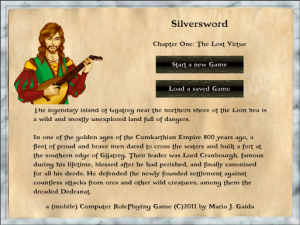 Silversword will bring back the desire for solving puzzles – do you remember what desperately sought-after magic word had driven you insane a long time ago in your favourite CRPG? As for me, I know it… and this game will give you lots of them! 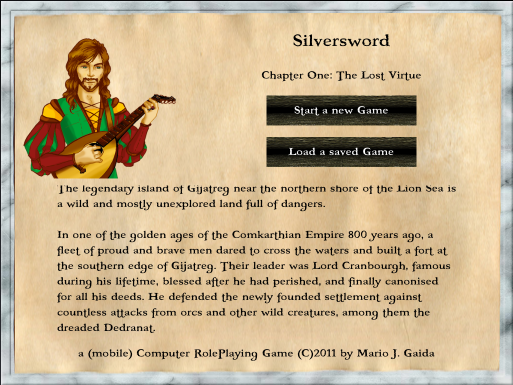 Silversword is a game about strategy, magic and imagination. As soon as you run out of spell points on the deepest level of Ole Castle Cranbourghs Catacombs, your torch goes out and the shadows creep up on you – there won’t be much hope of a carebear teleport or exit that will lead you to safety again.